Some people go south in February. February 1– 4, I went as far as White Plains to visit the interprovincial noviciate (Blessed Sacrament and Visitation provinces). It was a real pleasure to meet the formation community (Sisters Cathy Molloy, Peggy Doyle, Donna Kelly, Maco Cassetta and Libby Osgood) and to experience their hospitality of food, conversation and shared prayer. I was fortunate to be there for Friday morning “class” a thought provoking webinar entitled “Living Mission Inter-culturally,” led by theology and culture professor Anthony Gittins. After the presentation we left for Fordham University where we gathered with a small group for Mass. Libby Osgood (Novice of Visitation Province) went on to her class in Ecological Theology with the well-known theologian Elizabeth Johnson. Maco (Director of Novices) and I had lunch and time to wander through the botanical gardens that border the university. We especially enjoyed the stunning orchid display in the rotunda of the Mertz Botanical Library. 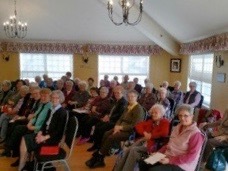 On January 31st Sister Réjeanne Bourque welcomed the sisters and associates of Prince Edward Island to Andrews of Charlottetown. 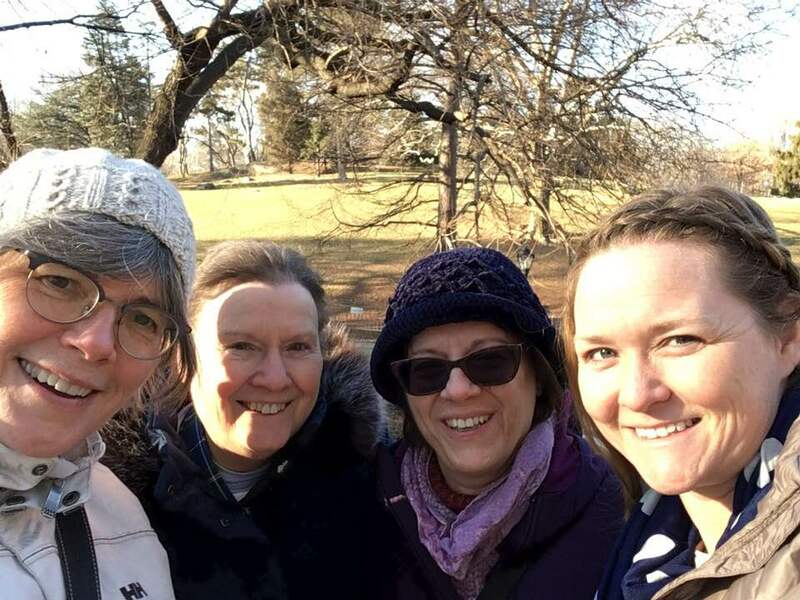 Together, we experienced the process and spirit of our Provincial Chapter accompanied by Sisters Catherine Walker and Maureen MacIsaac as facilitators. Associate Donna MacIntyre and Sister Regina McQuaid shared their experience of Chapter 2017. Donna spoke especially of the sense of peace and companionship that prevailed throughout the days. Regina continued in the same strain saying how each activity was entered into with reverence and joy. 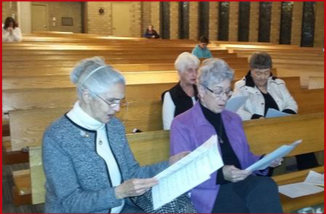 On the feast of St Marguerite Bourgeoys the Riverview Associates met at the home of Roger & Rita where Fr. Charlie Broderick celebrated Mass. Following the celebration of Mass the group spent a time of fellowship and sharing of food together. It was a special time in honour of St. Marguerite.